How to make your dog to look smart? Phuket dog grooming can help you within a few minutes. 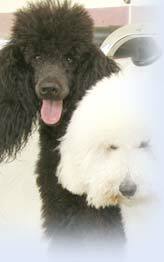 Phuketindex.com provides a list of dog grooming service in Phuket. Well-dog grooming in Phuket is available all over Phuket Island. Find the better way for your dog today! Smile Pet & Grooming, grooming shop, pet boutique in Phuket, we groom all breeds of dogs and cats. We offer quality, expert grooming that is the best for the welfare of the pets.